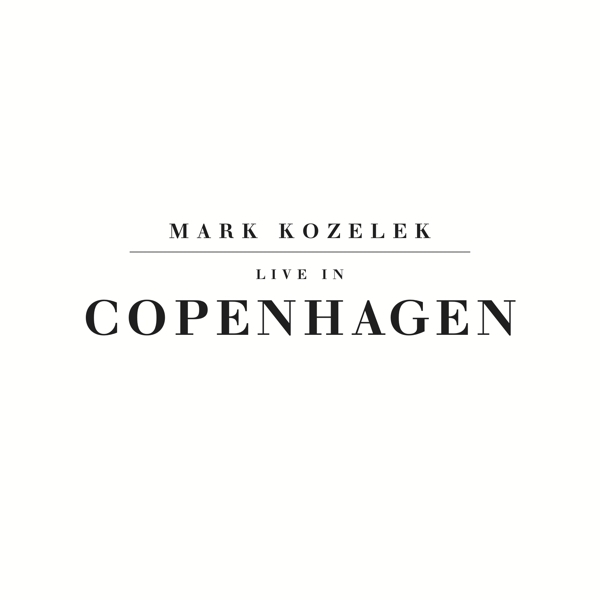 Originally given away as a free, limited-edition, unmastered CD, with pre-orders--on the Caldo Verde website in 2012--this is amongst the most popular/in-demand of the live Kozelek oeuvre. 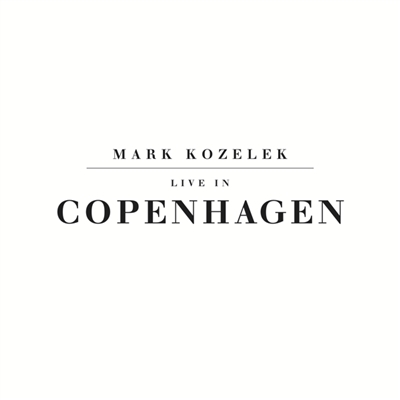 Striking a balance between Red House Painters songs, covers, and 'Admiral Fell Promises'-era Sun Kil Moon--'Live In Copenhagen' hits the sweet spot, for all eras of Mark. 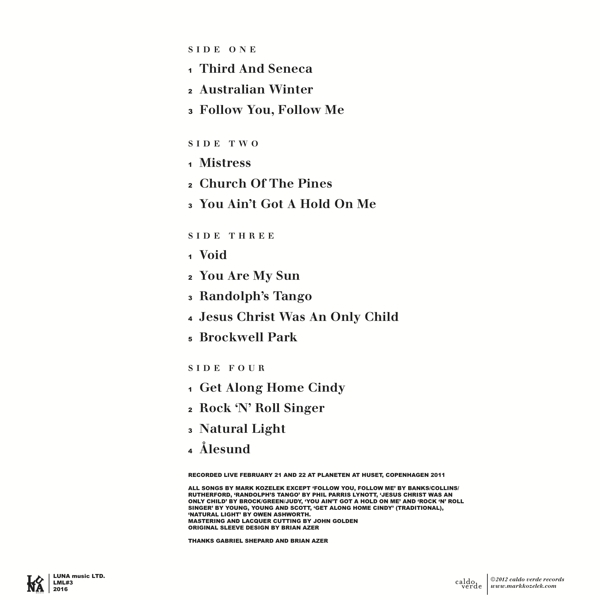 Spread across four sides (featuring first-time mastering and lacquer cutting by the legendary John Golden) and housed in a heavyweight, single-pocket/double-wide jacket--this one-time only pressing (100 LUNA music Vermilion RED VINYL 2-LP sets and 1500 BLACK VINYL 2-LP sets) is the best the audio has been presented, to date. BLACK VINYL SETS will be available at finer independent retail stores, from 22 July 2016. LUNA music Vermilion RED VINYL SETS and Black Vinyl Sets, ordered from LUNA, will be shipped to arrive by 08 July 2016.